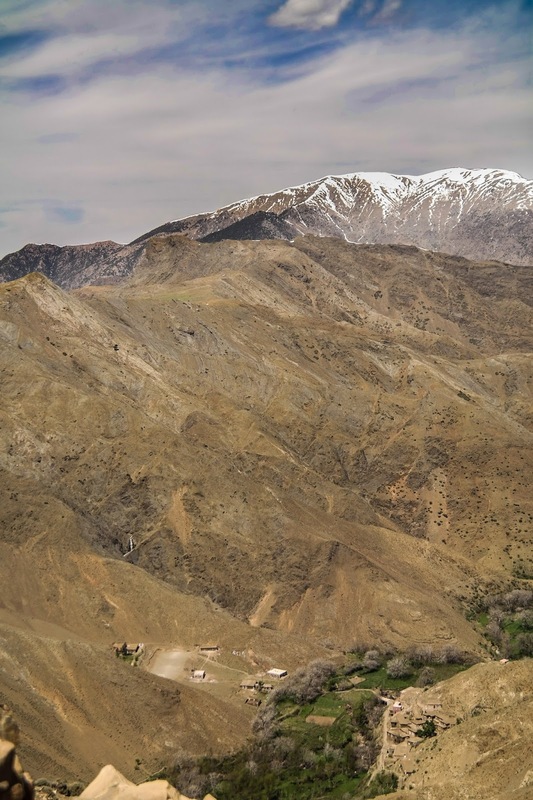 Just a quick post this time to give a hat tip to Assanfou, a restaurant found on the N9 road from Marrakech that threads through the High Atlas towards the desert. 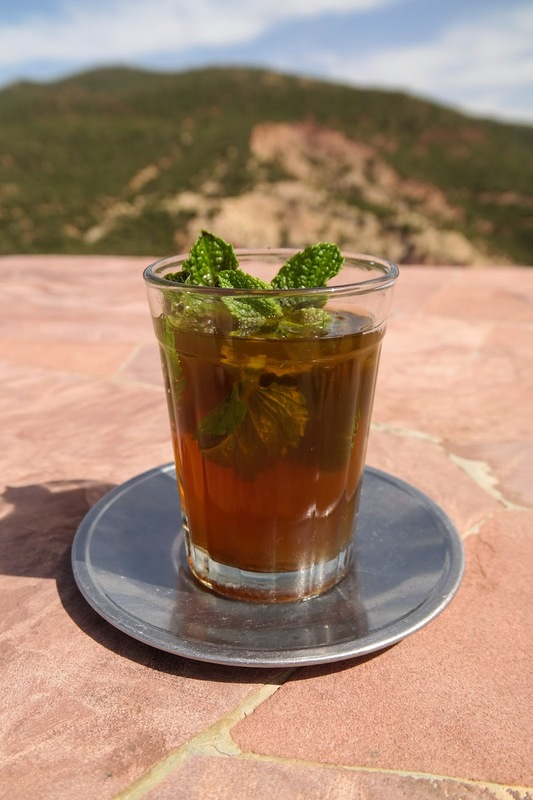 Here we stopped for a magnificent glass of Morocco's ubiquitous mint tea whilst enjoying the view and then wolfed down a tagine of lamb with figs. Truly fantastic mountain cooking. If you are heading that way then I can heartily recommend a pit stop for lunch here. The scenery on that road is something else, as well. It has a certain untamed, untameable wildness that is just stunning. Well worth the trip. 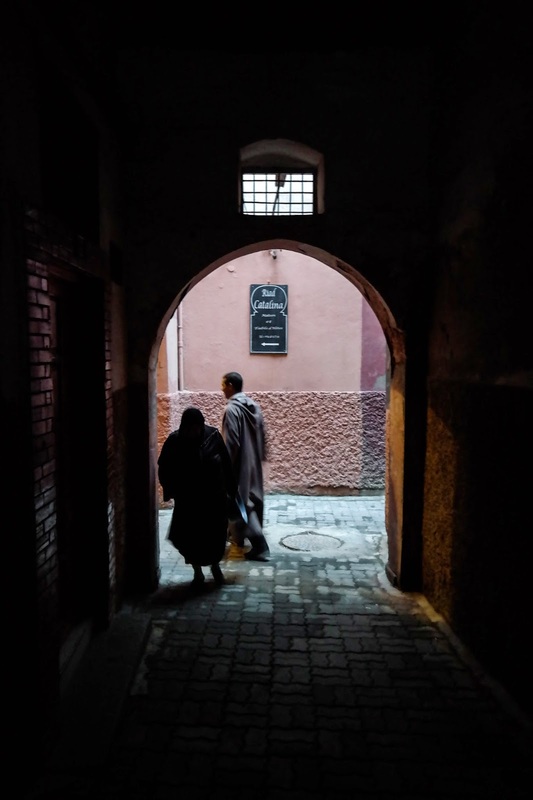 After something of a hiatus (new job, sorry) I am back to pick up where I left off with Morocco. 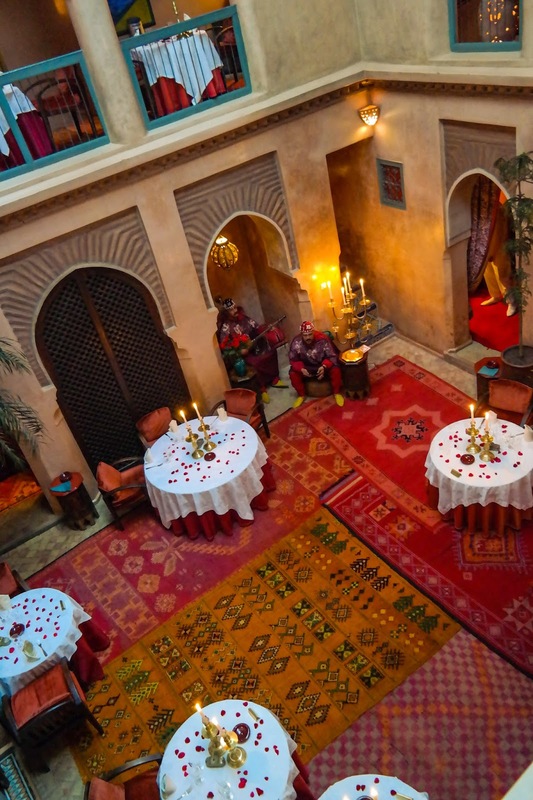 I want to jump straight to our experiences of one of Marrakech’s finest dining destinations, Le Tobsil. 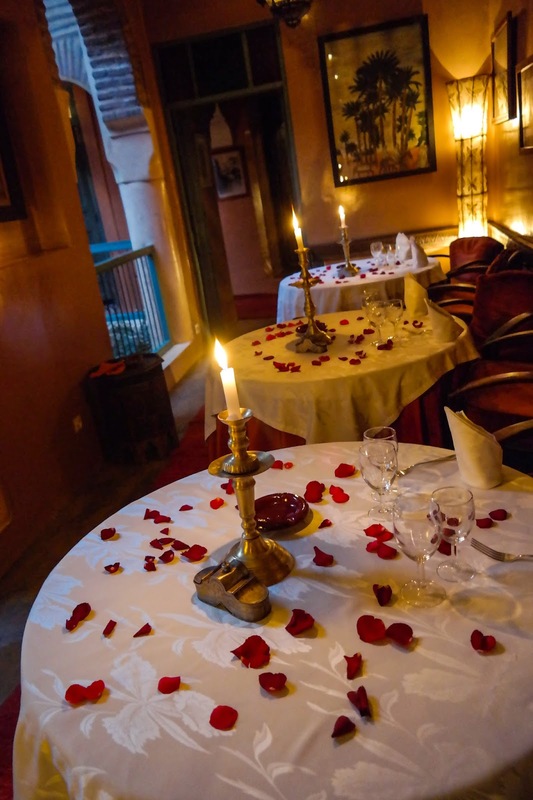 When you book Le Tobsil you are directed to a certain street and expected to find your guide. 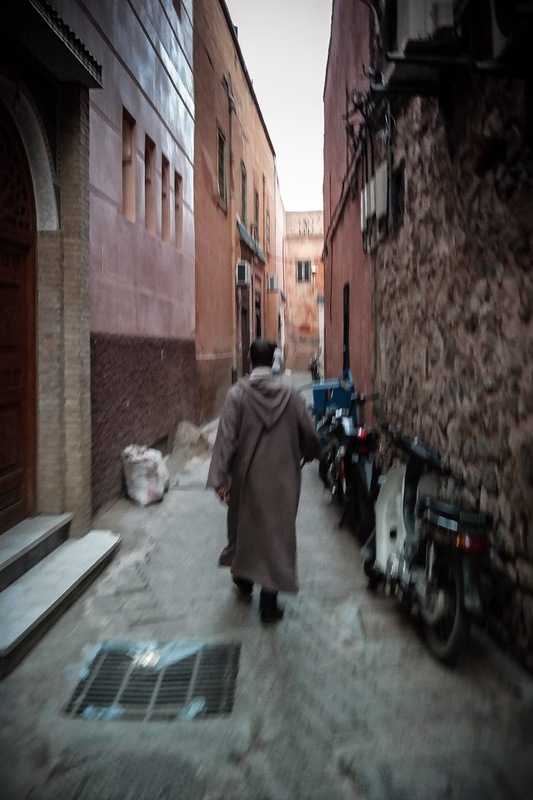 He then does a rapid about turn and scurries off down the rabbit warren streets of the Medina, as the sun is sinking. 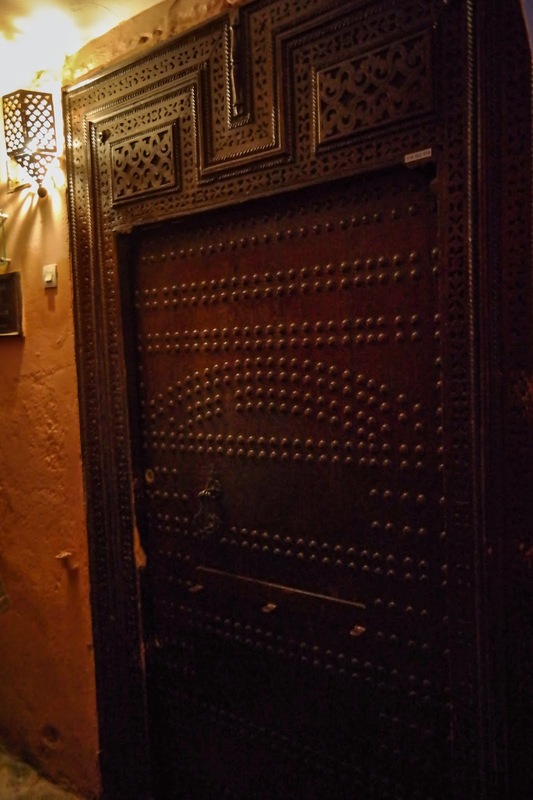 …and then suddenly you find yourself outside this big, unmarked, heavy-looking, studded wooden door. By now, your heart should be in your mouth. Where am I? Where am I going? Is this… safe?! But fear not. 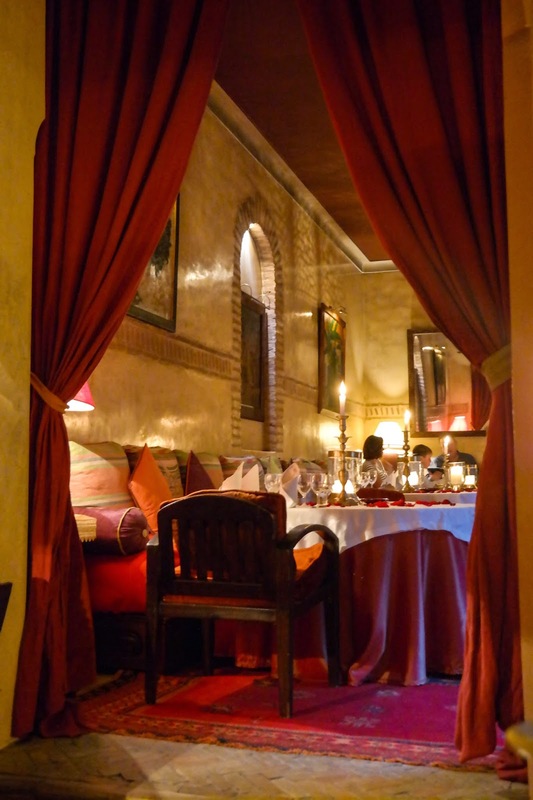 Because the other side of that door is the fantastically apportioned riad that has been remodelled into a restaurant. 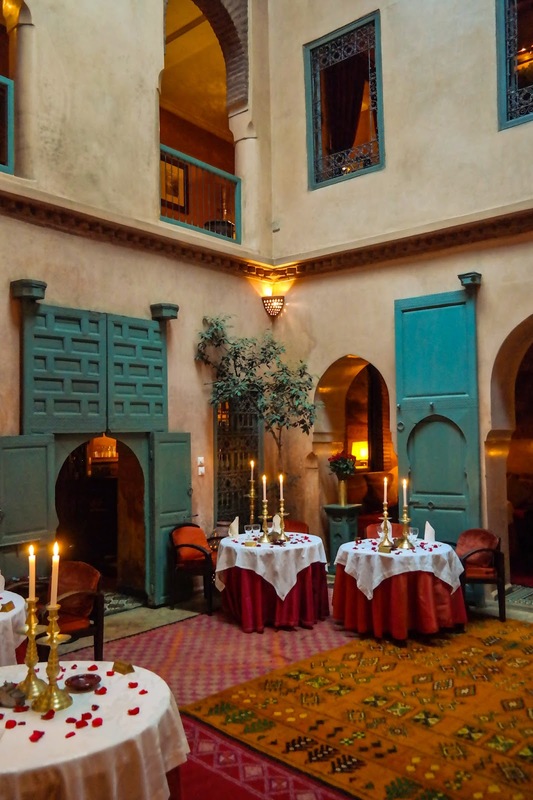 You’re seated at your rose petal strewn table and brought an aperitif – local wines or beers for the most part (both much better than expected) and lulled into a state of relaxation by the Berber music playing in the courtyard. Then the meal starts. 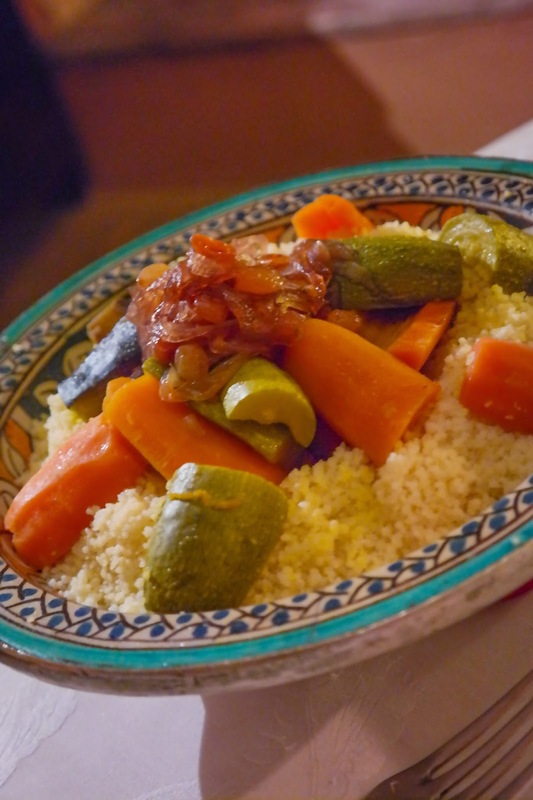 It’s a five course, fixed price, no choice menu of classic Moroccan cuisine. 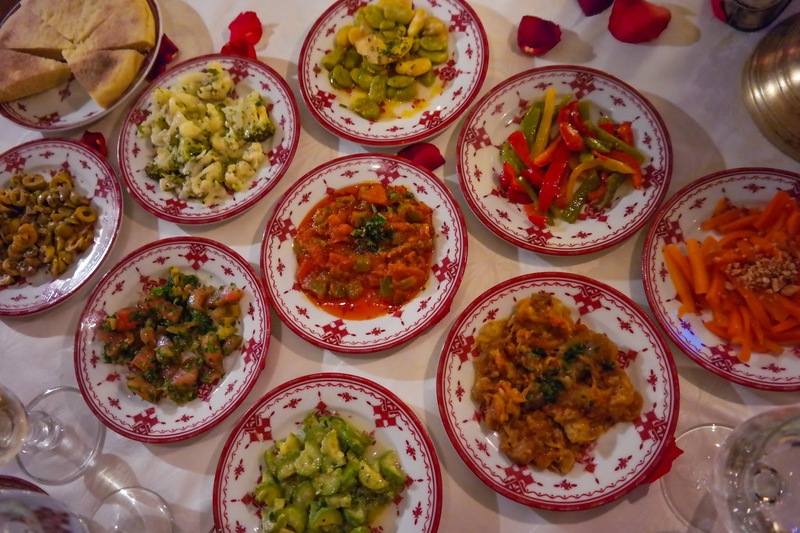 First up is the spectacular array of Moroccan salads that is a favourite starter in some parts. I cannot remember, nor could I even list at the time, exactly what each dish was but here are some excerpts: aubergine salad (a lot like baba ganoush), sweet carrots and nuts, roasted peppers, broad and butter beans, cucumbers (a little like smashed cucumbers of Sichuan fame), potato and turnip salads, roasted baby courgettes sweet tomato salad (almost like a jam) covered in sesame seeds – the list goes on. 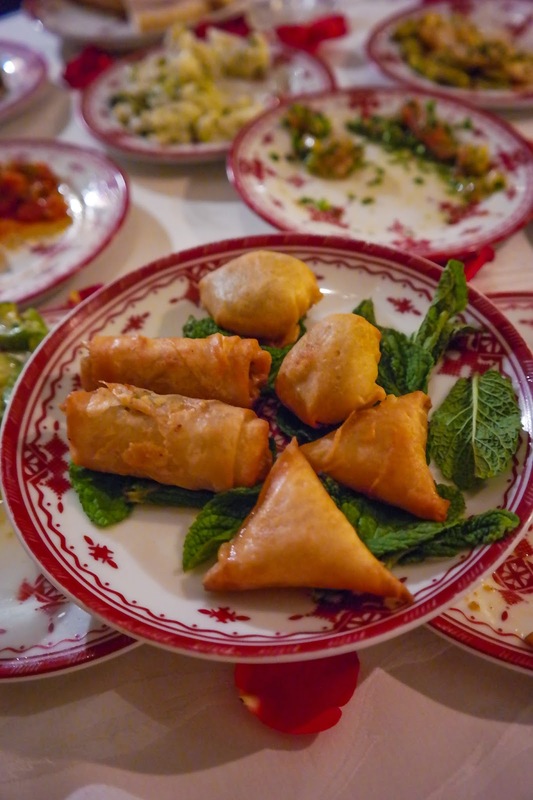 Also served up as a starter were little Moroccan pastries – stuffed with cheese, vegetables (not entirely dissimilar to a Chinese spring roll, actually) and chicken. Very tasty. 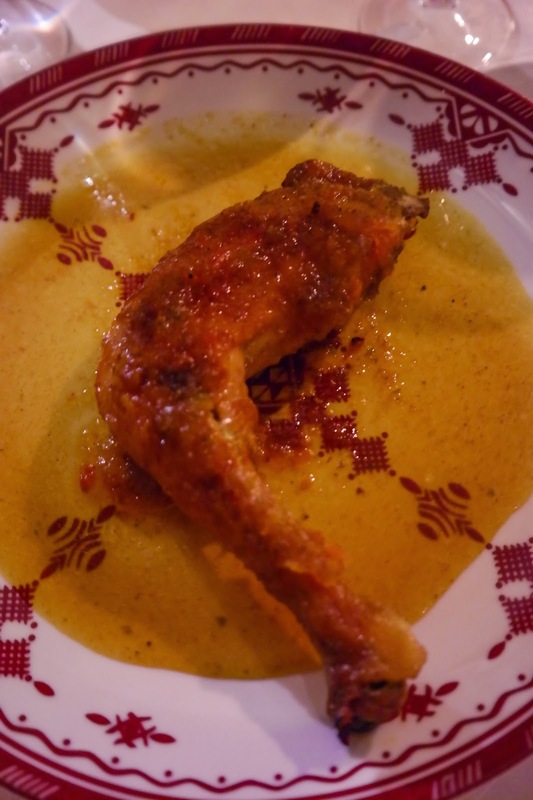 The next course was a funny one – whole chicken leg (thigh and drummer) cooked in an onion, spice and honey sauce. 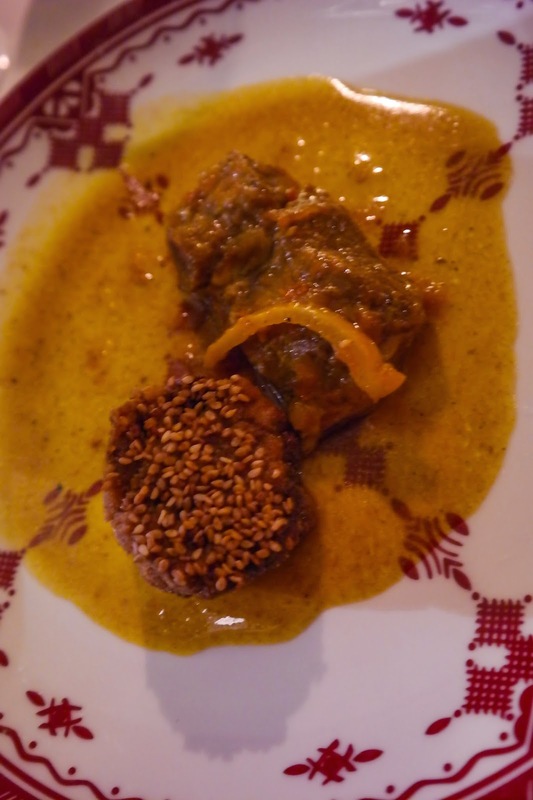 Very sweet, but lovely – the chicken retained all of its moistness and the sauce went perfectly. But there was absolutely nothing to go with it! 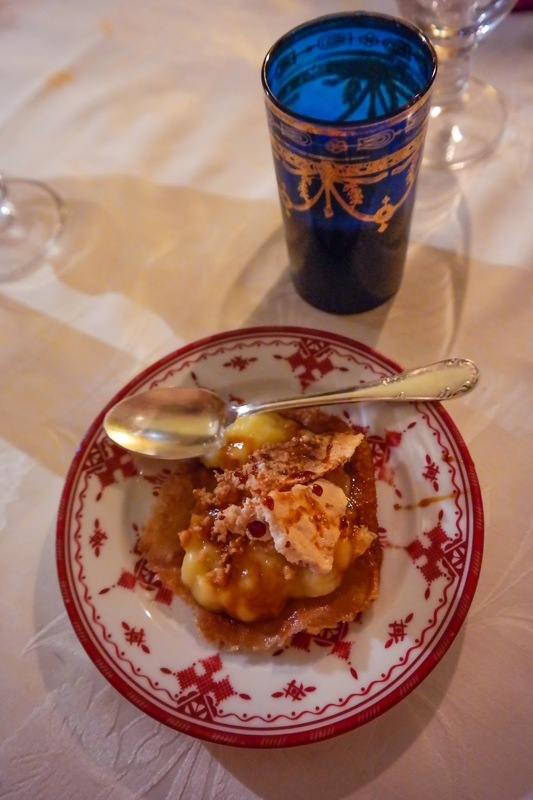 A very weird experience for the Western palate. 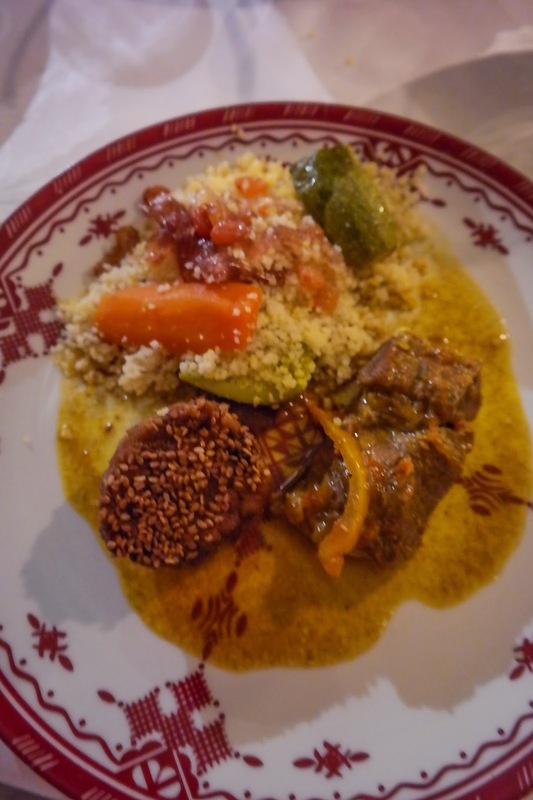 The next course was lamb and aubergine tagine, served with royal cous cous. Nice, but unexciting if I’m honest. By this stage we were treated to Berber dancing musicians – basically the ambience creators from the courtyard come to hawk for tips. I find that sort of thing during a meal a little annoying, and frankly I’d rather do without. Now, you could say that this is the only way for them to get paid – and I hear you on that point. 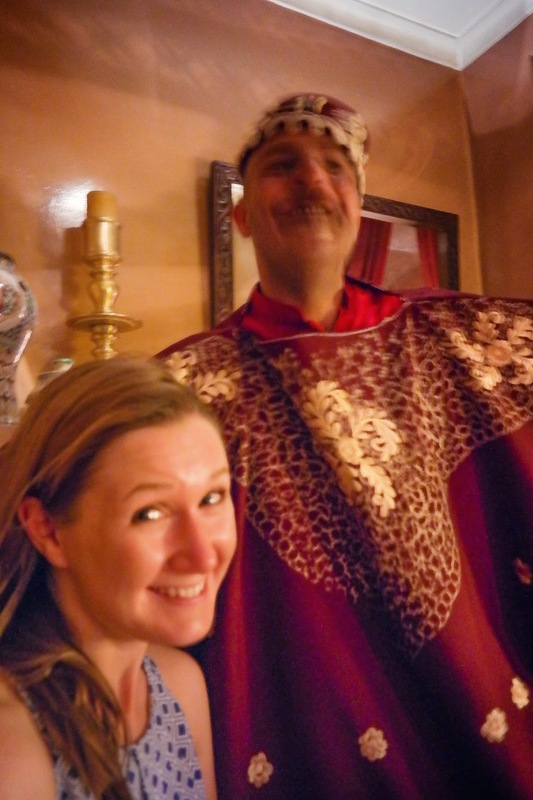 Except that I’d rather the restaurant charged me another couple of dirham and paid their performers better. 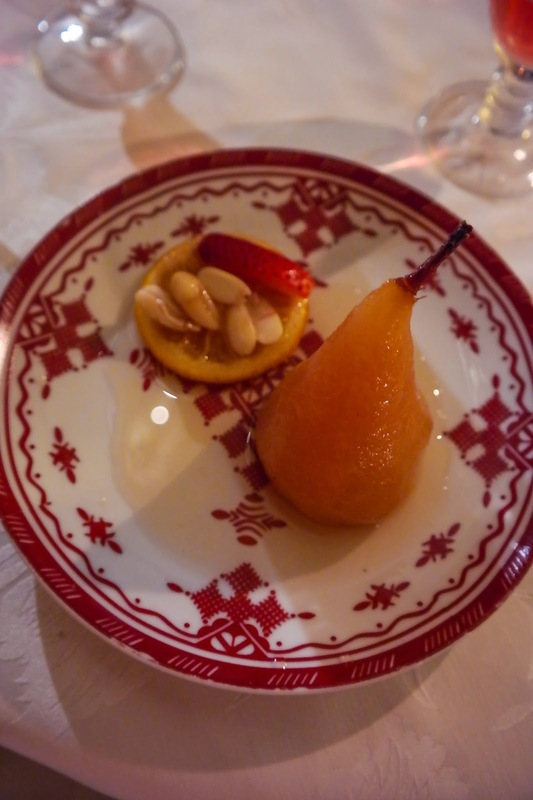 Pudding was poached pears, with an orange masala sauce. 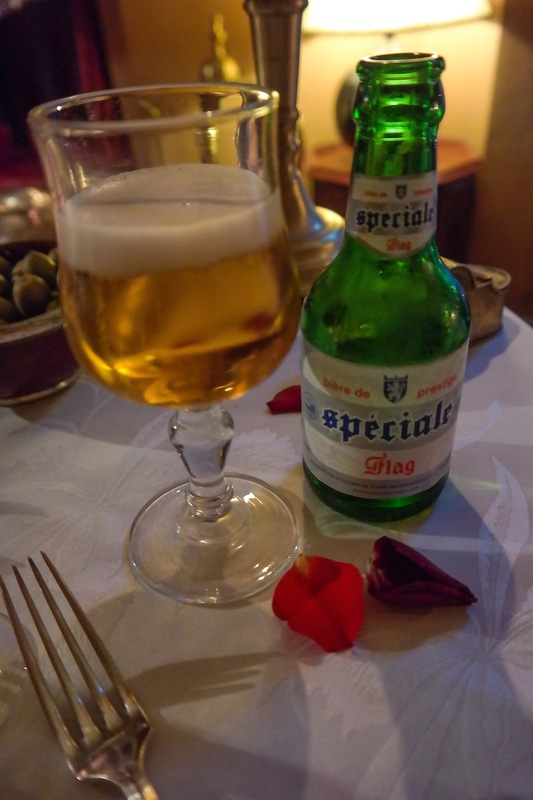 Not something I’d usually go for, but this was brilliant – and worked so well after the meal we had just experienced. 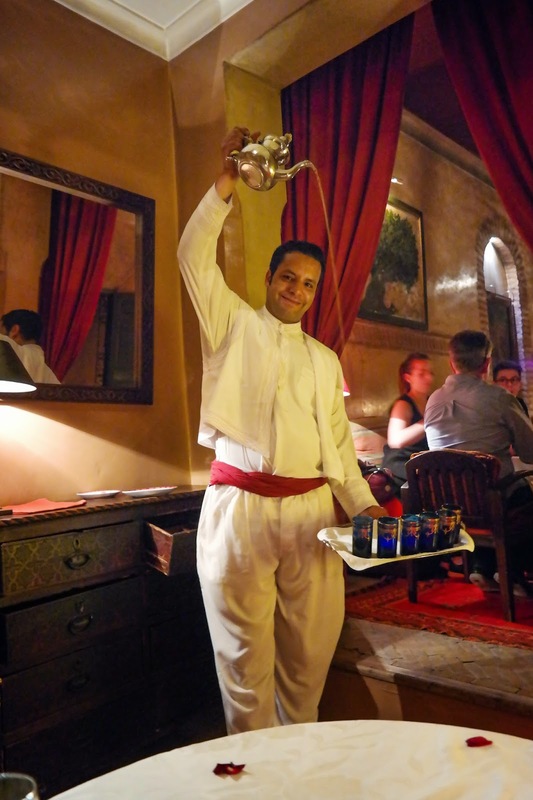 Then, of course, there was mint tea – poured, as you can see, from the extraordinary heights that the pouring of mint tea seems to require. I think it’s to allow it to cool a little before serving, but frankly it still seems bloody hot. Still, I like it a lot and – as you’d expect, given its popularity, it works as a fantastic digestif. Then, of course, there was more. A sort of milk / cream cake served with merengue. Ridiculously sweet and too much after such a big meal. 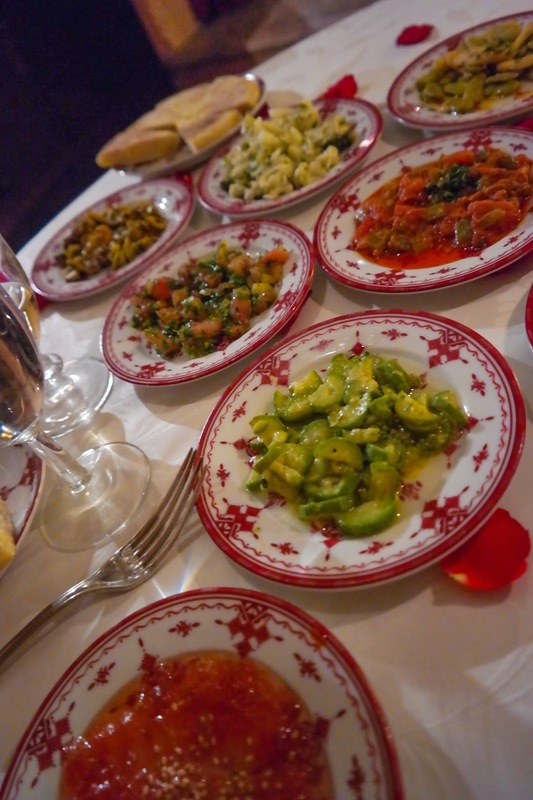 Now, reviews of Le Tobsil are mixed. There are a lot of people on sites like TripAdvisor calling it the best thing ever. And there are similarly a lot of people calling it utter rubbish, no more than tourist tat. Which to believe? Well, both in a sense. 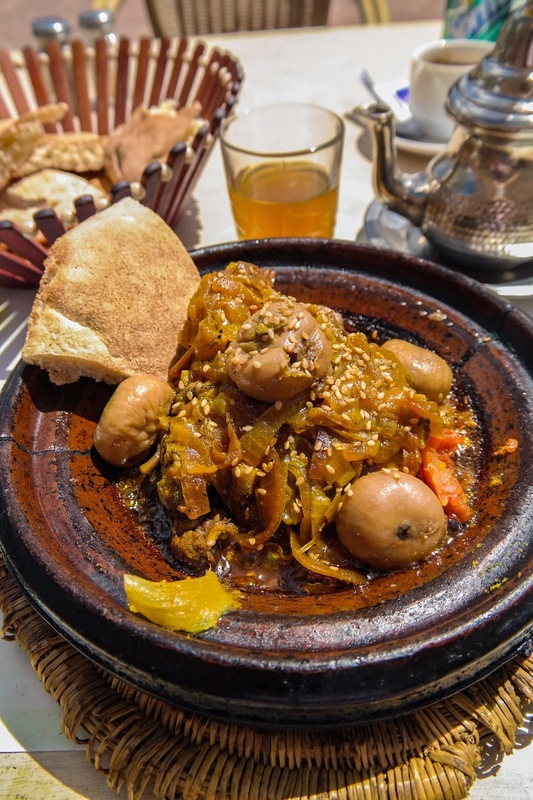 The experience is amazing – definitely one to enjoy, and it certainly ticks all the tourist boxes of what one expects in the way of Arabian Nights type living. 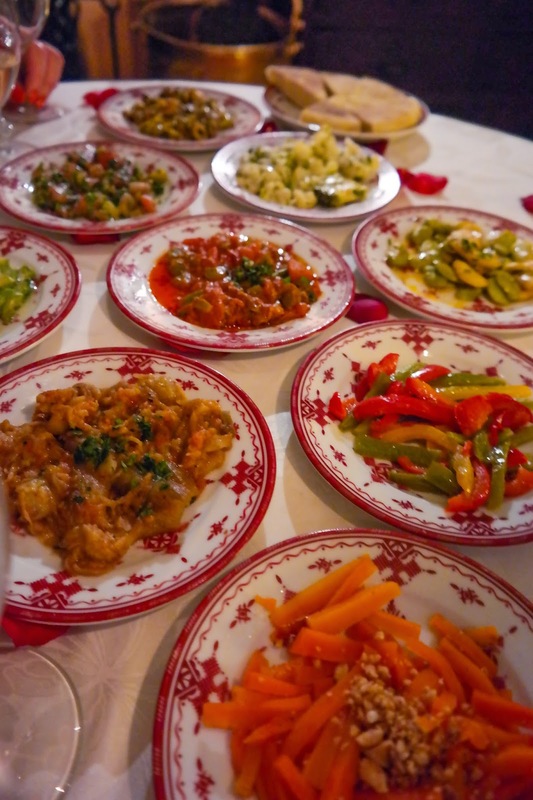 The food is good – for the most part – and a lot better than we experienced in a lot of other, often more expensive, Marrakech restaurants. Was it mind blowing? No. Was it worth it? Definitely, yes. Today marks the 200th anniversary of the Battle of Waterloo, one of the most fiercely fought European battles of its era, as well as one of the most influential events on European history. 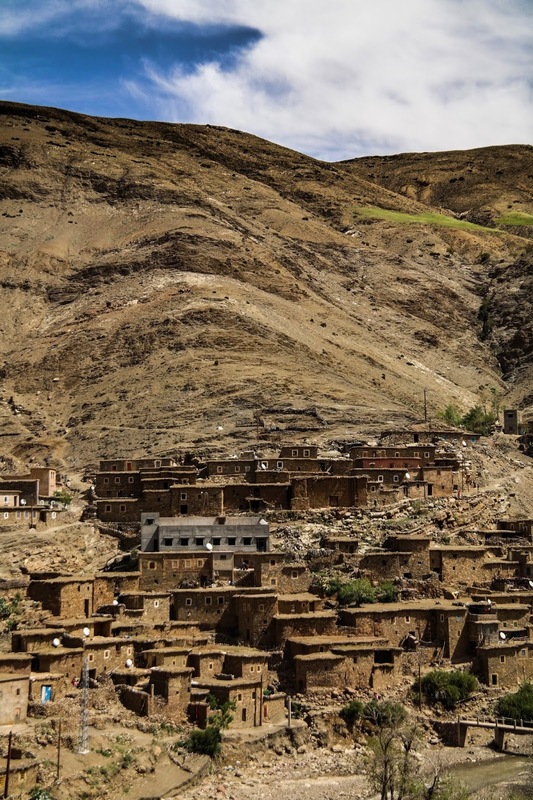 It brought to an end a series of conflicts that had been raging since at least the 1770s, perhaps even earlier, and the world's first truly global war. And in its wake there followed a period of relative pan-European peace that would last just shy of a century. 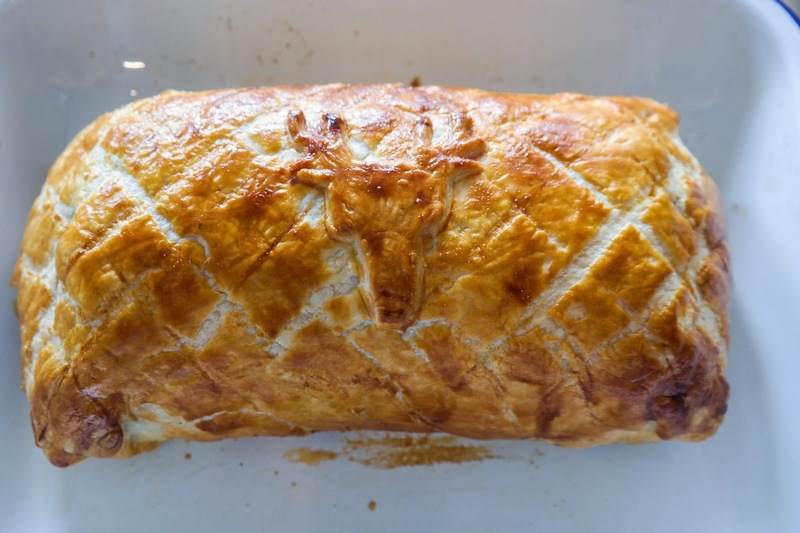 In honour of that great battle, I am today posting about the magnificent Beef Wellington. 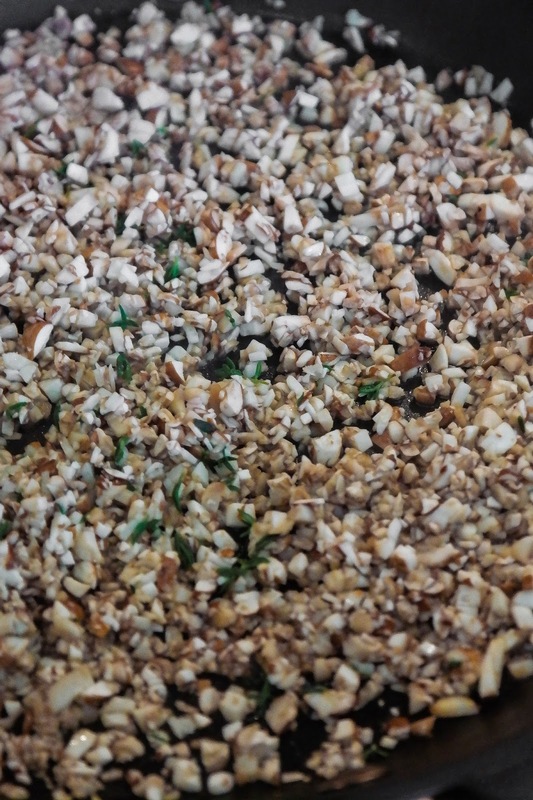 This is despite there being almost certainly no connection between the dish and the victor of Waterloo. 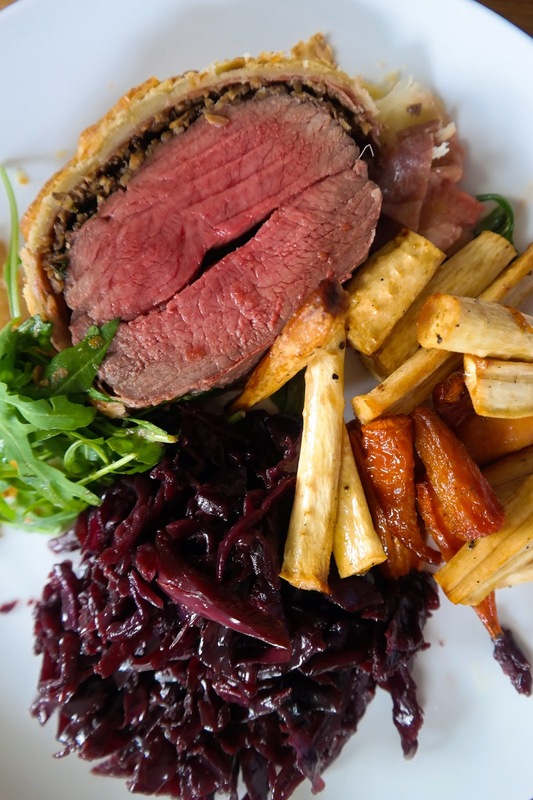 There can be few dishes more impressive than a wellington, combining as it does both the comforting countenance of the pie and the majesty of the roast joint. It is one of my absolute favourites as well. 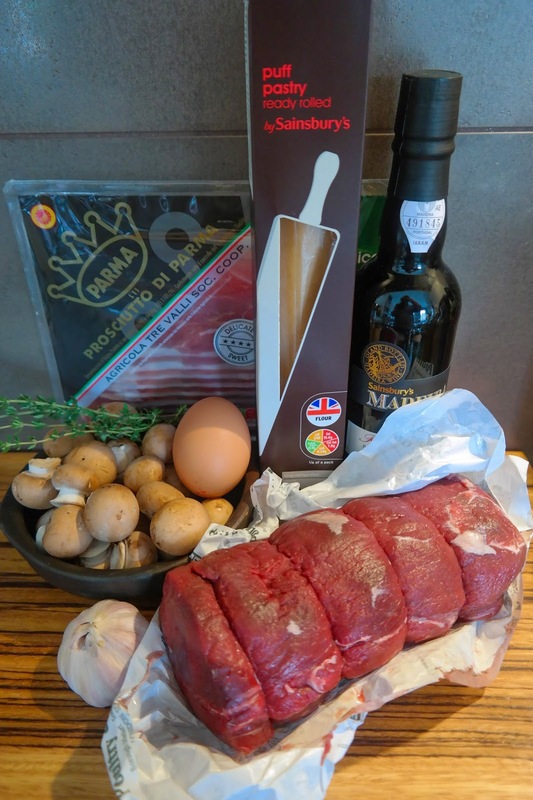 The addition of the ham and the mushrooms adds an extra element of flavour to a cut of steak which, for all its benefits, just misses out on the richness and depth of flavour that cuts like rib eye or rump have, whilst maintaining the fillet's glorious tenderness. The pastry really does seal in the heat and moisture as well – unbelievable given how much always seems to have seeped into the crust – especially the bottom layer. All in all, it's a triumph of over-the-top, retro dining. This is actually a really, really simple dish to cook. I promise. It's a faff to assemble, I won’t lie, but it is not at all difficult. I've tried to spell out step-by-step instructions to make it easier to see the practical, assembly parts – but as a general rule this is pretty simple. Also, although not an ingredient, cling film plays starring role in this dish. You're going to need plenty of it. 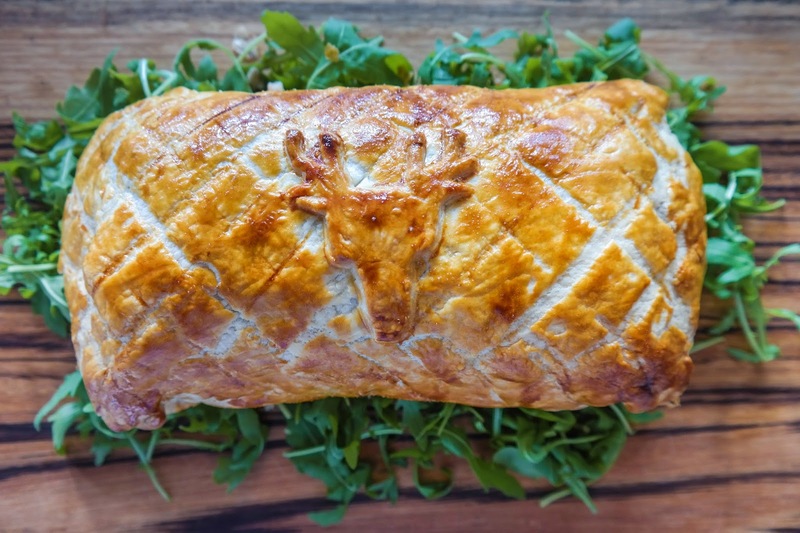 A few things to note, however: First, this post is actually about a venison wellington I made. Don’t let that bother you. It's exactly the same recipe – I think the venison version is slightly superior, but that's just me. In all respects this recipe will produce an easily equal beef wellington – just read 'beef' for 'venison' and 'cow' for 'deer' / 'bambi'. 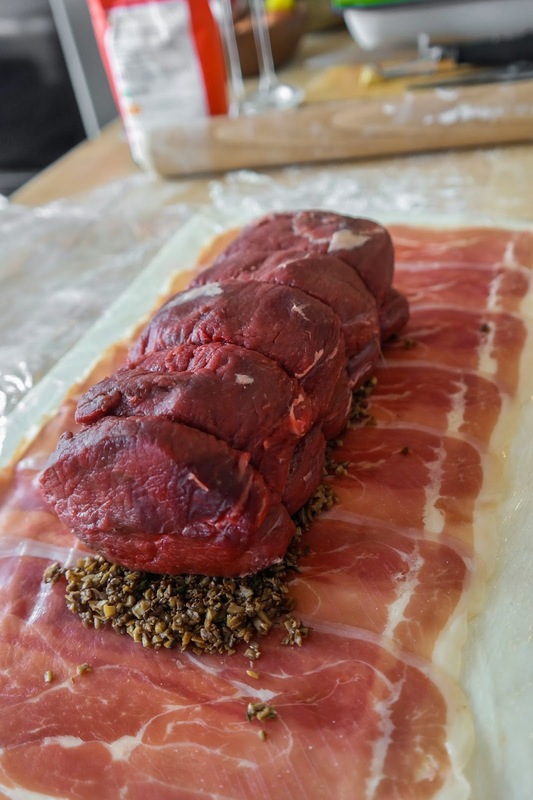 Second: I have restrained myself to the most simple of duxelles – in fact, it's so simple it barely even qualifies for that title – and parma ham. Lots of people advocate the addition of all sorts of other fillings, crêpes and pâté / foie gras being the most popular. On the question of crêpes, I say that enough is enough. This dish already has plenty of stodge, thank you, there's no need for more. On the pâté front – and more generally on the addition of other trinkets and baubles – I think this is rich enough as it is. 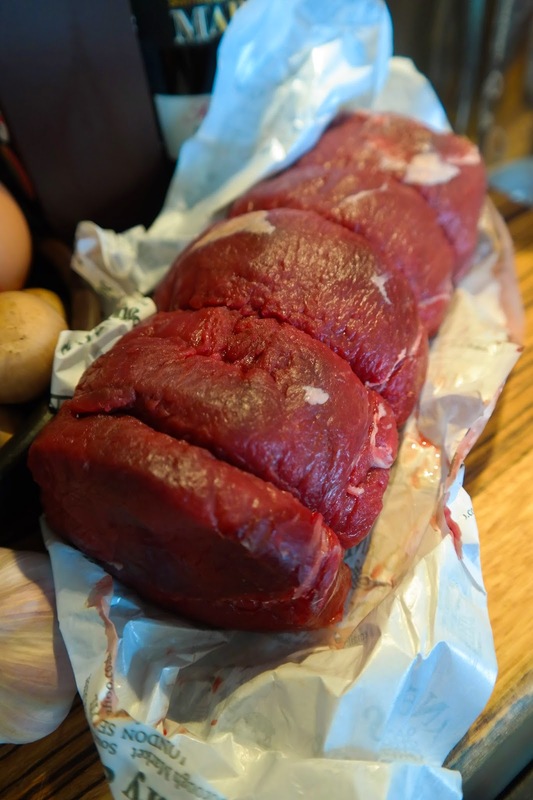 What's more, as I've said, fillet is not the strongest flavoured cut of steak, you don’t need to go drowning out the flavour with a rich pâté – especially not when it's so damn expensive. Third: You're supposed to sear the meat first - one minute for each side, until crisp and brown on the outside. I totally forgot to do this but it actually made very little difference. Take from that what you will. 1. 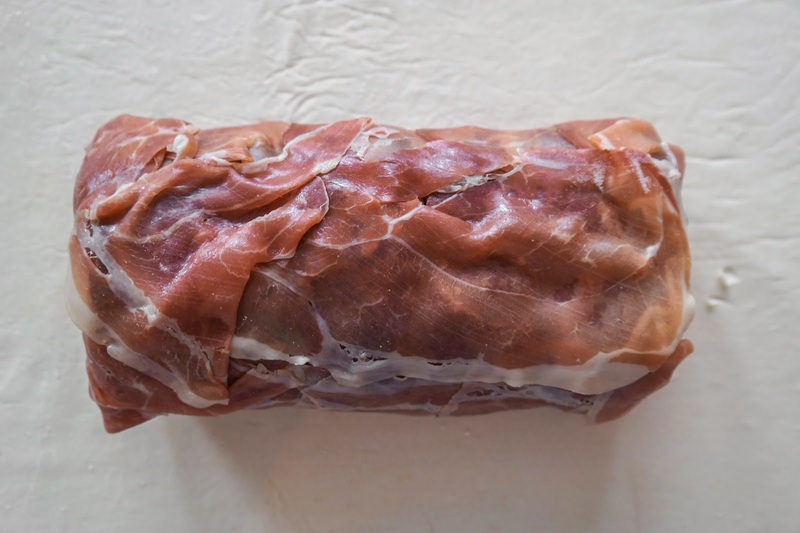 First, get the meat and the Parma ham out of the fridge and bring them up to room temperature. The meat will benefit from it when cooking and you will seriously thank me when it comes to using the ham. 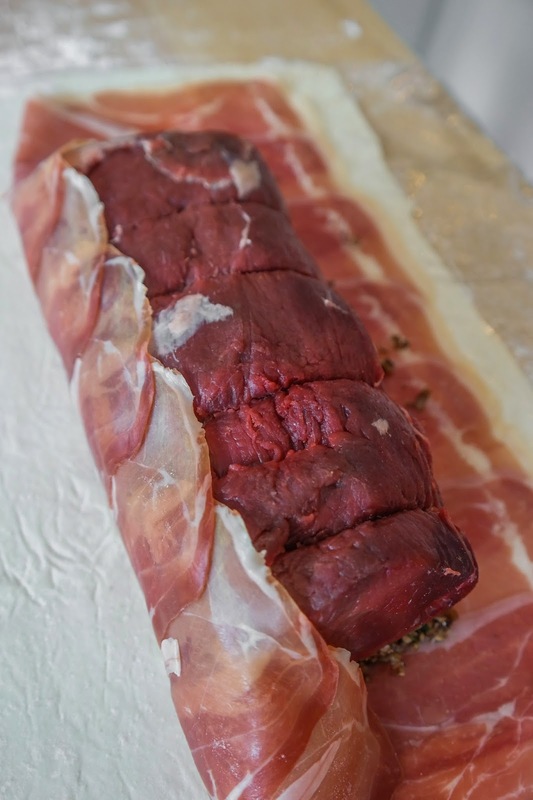 Pat the fillet dry and season the meat by rubbing (gently) salt and pepper into it. Heat the oven to 180ºC. 2. Chop the mushrooms up finely. I said finely. Really, really fine. 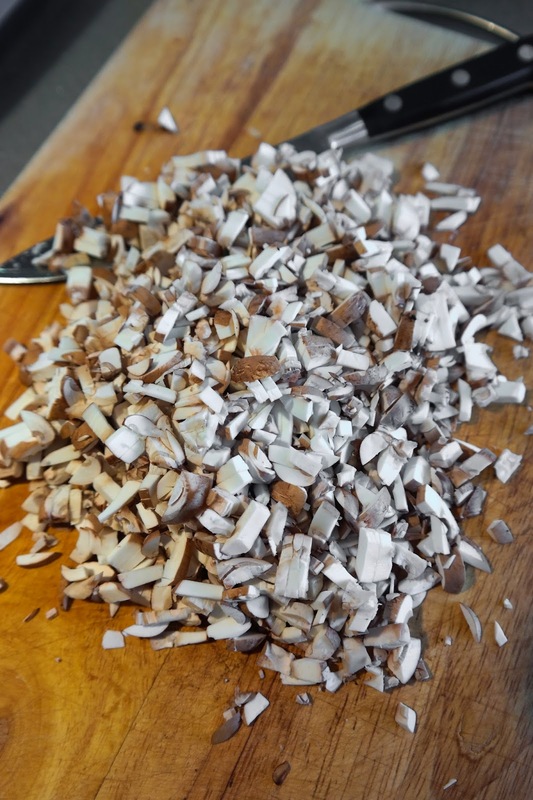 Once chopped finely use a big knife like you would on a bundle of herbs and, see-sawing back and forth, get them chopped right down to a sort of grit. Also, chop the garlic finely as well. Again, really, really fine. 3. 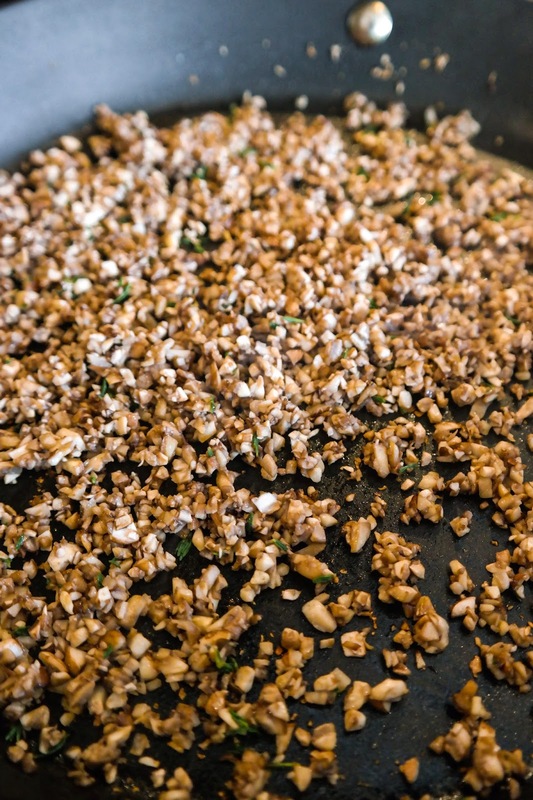 Heat a big frying pan with a lug or two of olive oil and then fry the garlic, mushrooms and thyme (the leaves only, plucked from the twigs) together over a medium heat. 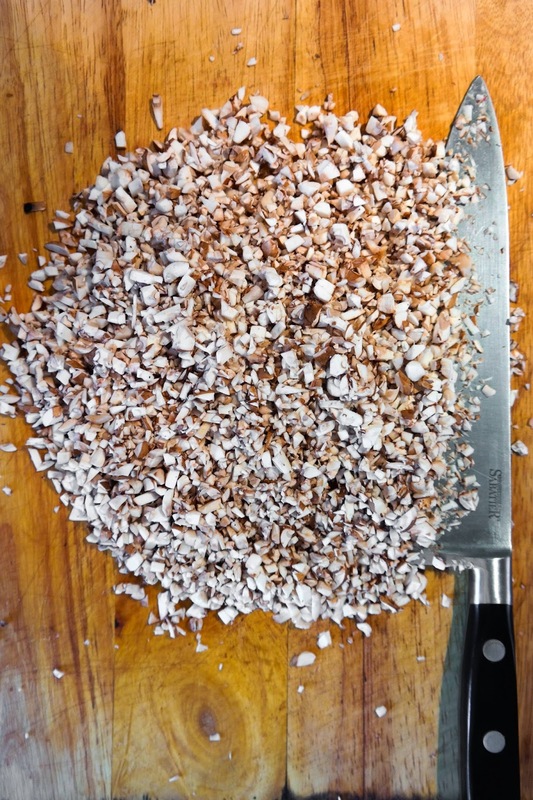 You need to cook the mushrooms so that they are starting to brown and crisp ever-so-slightly. 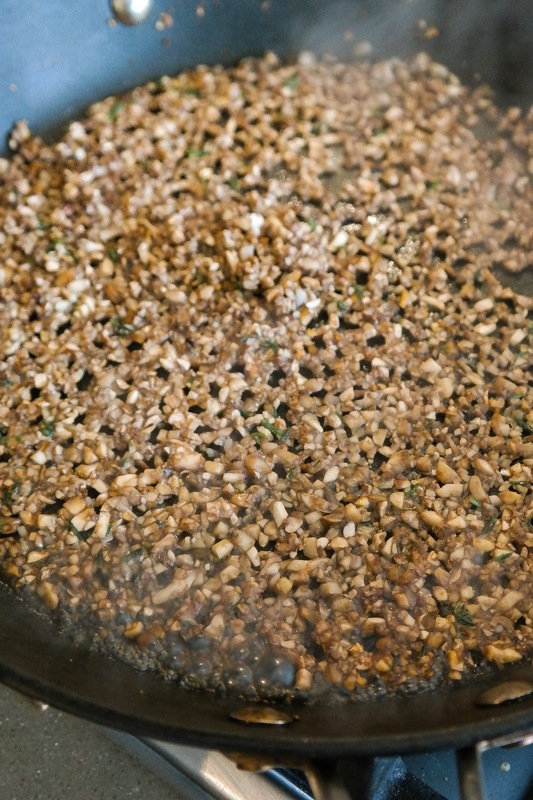 There should be no liquid left in the pan – to the extent that the mushrooms produce any, cook it off. As they start to brown, turn the heat up a fraction so that they're ready as the pan reaches temperature. Then add the madeira and cook that right down. I've used madeira because it was supposedly the eponymous Duke's favourite. I'm not sure why that should influence me, for there (sadly) appears to be not connection between Wellington and the wellington. Still, it works well. Once reduced, remove the 'shrooms from the pan and allow them cool right down. 4. Whilst they're cooling you can make a start on the assembly bit. 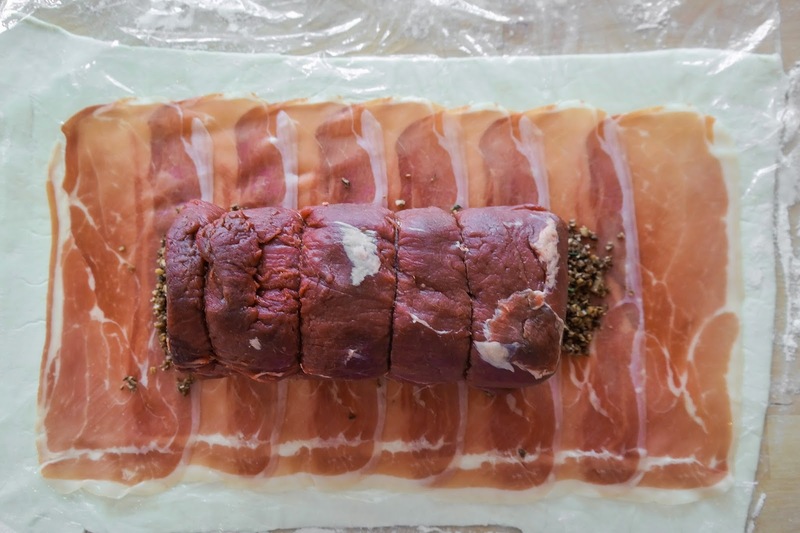 Start by laying down a piece of cling film about one and a half times the length of your fillet, perhaps even a touch longer. 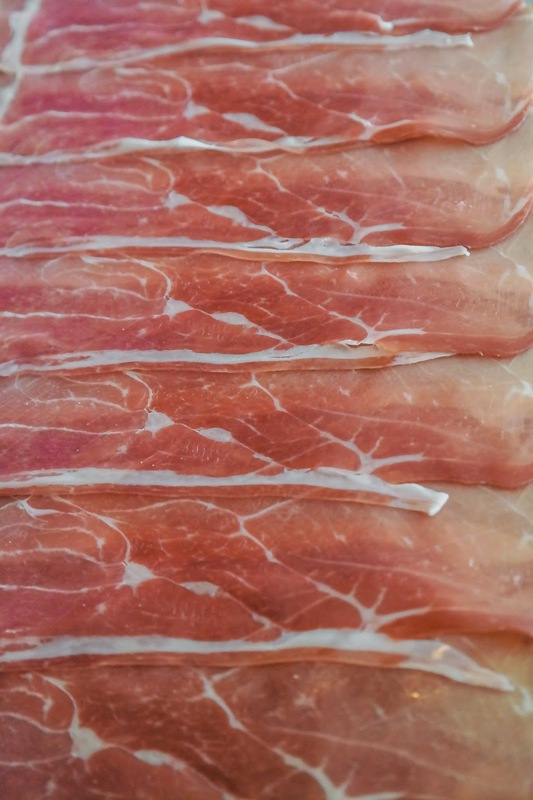 On that you should lay out 8 of your Parma ham slices (keeping two spare) vertically so that each slice overlaps the last by about one-third to one half. 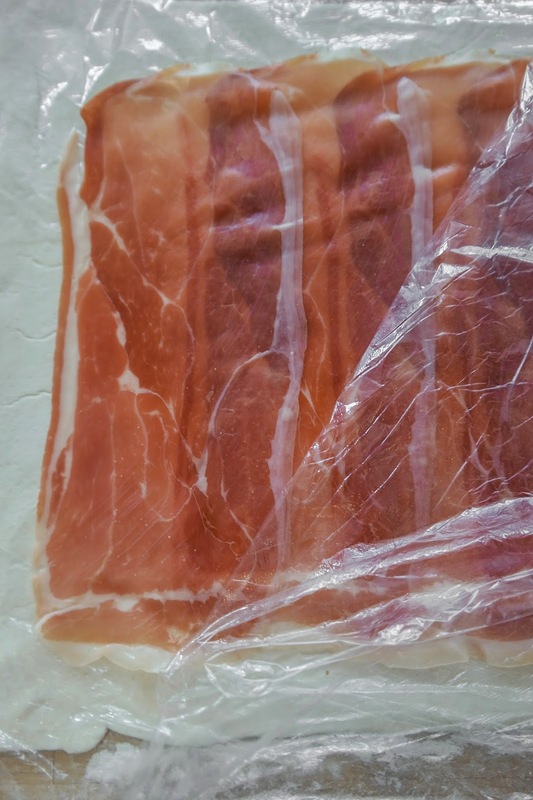 If your Parma ham is still cold from the fridge all the fat will have congealed and it will tear as you prize it from the little plastic sheets it comes on. That would be a disaster so pay heed to my earlier warnings. 5. 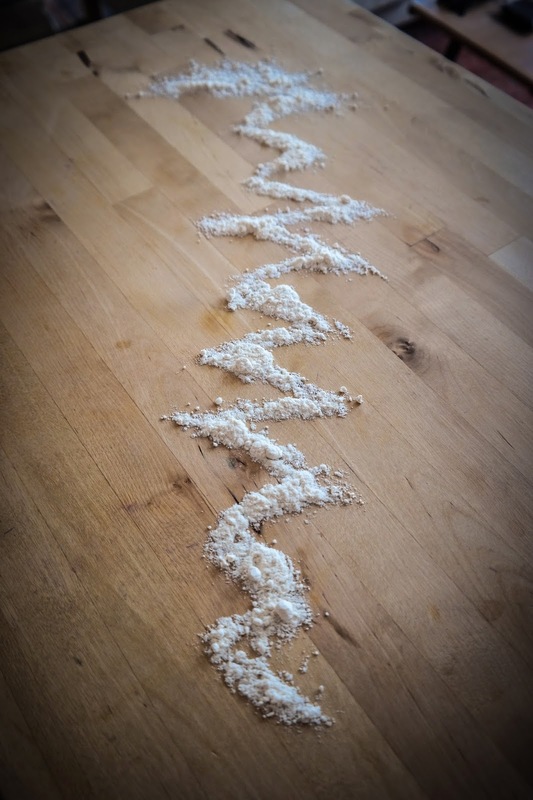 Flour your work surface. 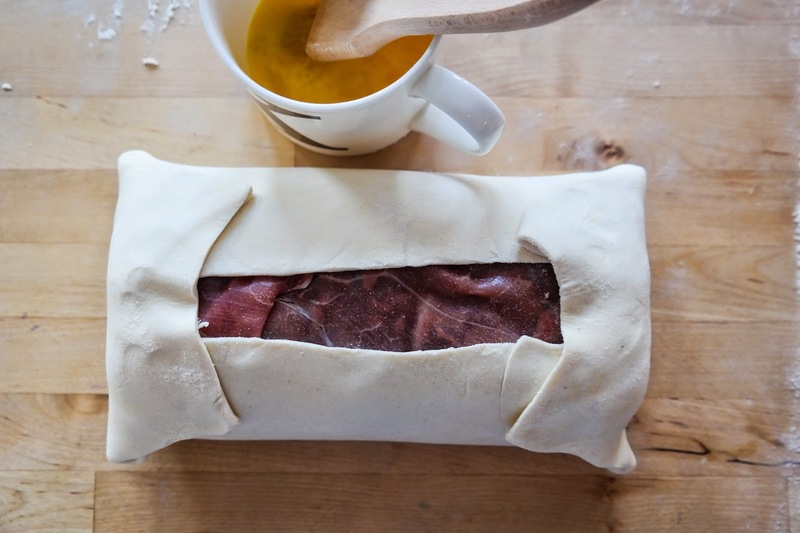 Now roll out the pastry to about 3mm thick – the thickness of a pound coin, someone once said. I can never be faffed to make my own, sorry, but I reckon it makes too little difference to faff with it. The supermarket stuff is pretty good – I even managed to get it pre-rolled. Score. 6. Now here's the first properly tricky part. This is a delicate operation, but it's do-able – it's also the most delicate thing you're going to have to do, so once you're through this you're through the worst of it. 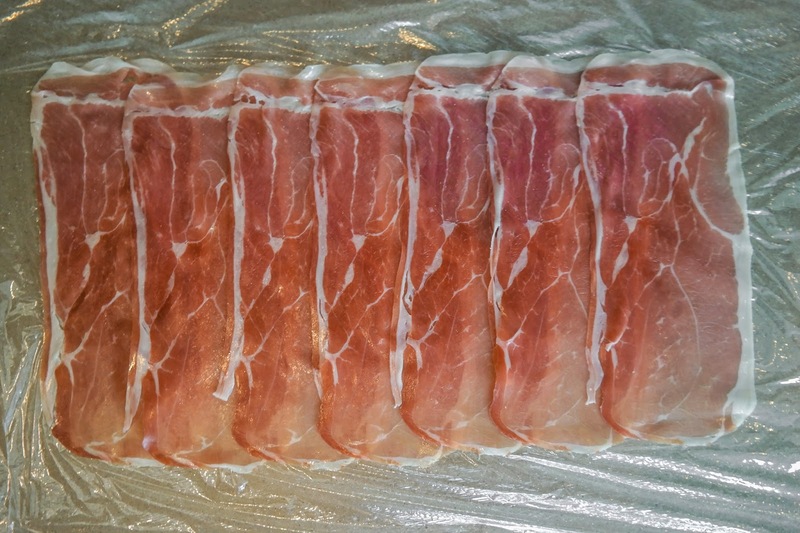 First, place two sheets of cling film along the top third and the bottom third of the Parma ham sheet. I'm going to call these the 'top sheets'. 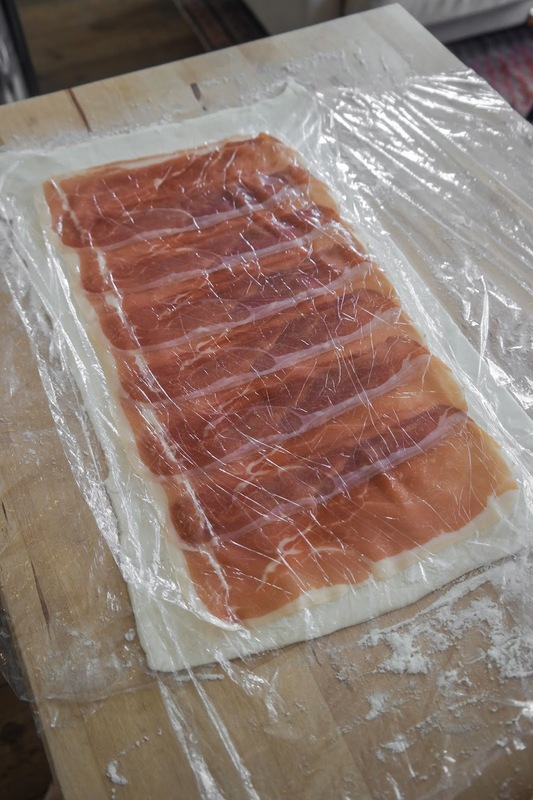 Second, lift the pastry sheet onto the sheet of Parma ham that's sitting pretty on its cling film bed (the "bottom sheet"). 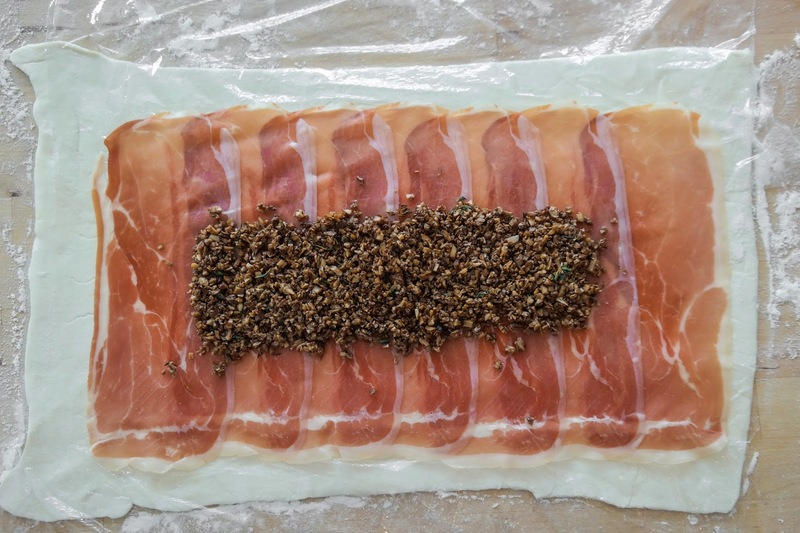 Then carefully, sliding one hand under the cling film, turn the pastry sheet back over so that the ham is on top and the bottom sheet is now on top of that, with the top sheets sandwiched between the ham and the pastry. Third, even more carefully (so that you don't just pull away all of the ham that you've so carefully laid out), peel the bottom sheet back. 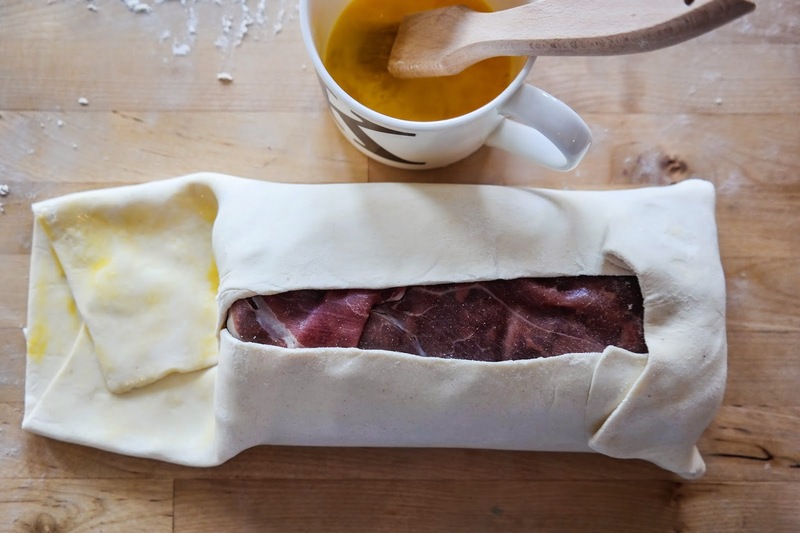 You should now have ham perfectly laid out on the pastry, with the top and bottom thirds of each slice of ham separated from the pastry by the top sheets. 7. Grab the mushrooms and carefully and precisely spread them out along the middle of the ham where the fillet will rest. 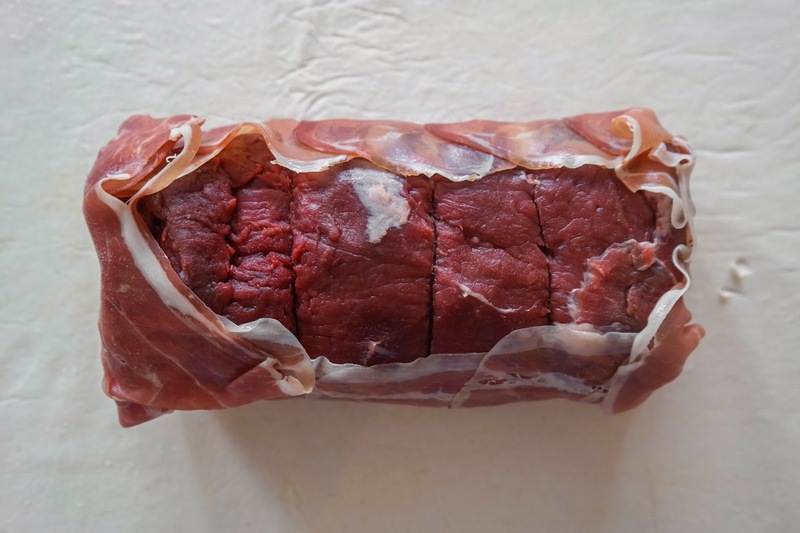 Use the fillet as a guide – anything that protrudes from the ends will be wasted, although anything that protrudes along the top of bottom is fine. 8. Place the fillet on top of the mushrooms. Now, the beauty of GrubsterBoy's Ultra Cling Filmy Method™ (patent pending) comes to the fore. 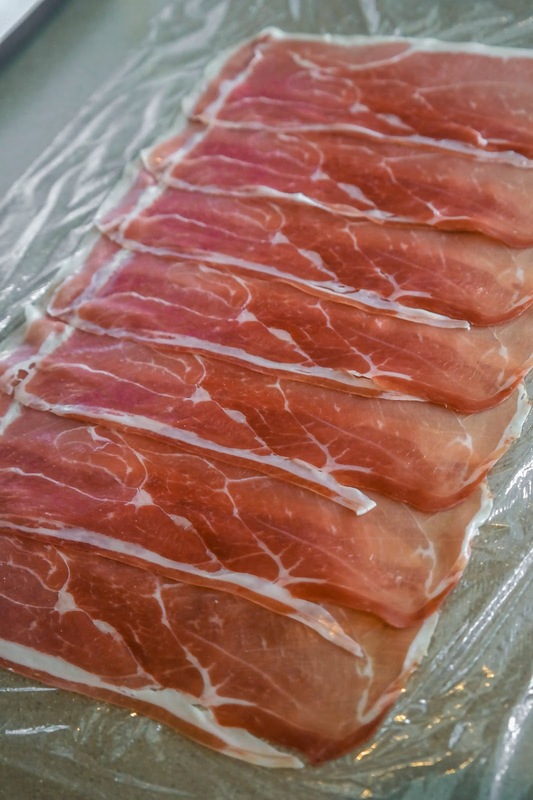 Again being very careful, lift one of the top sheets up so that the Parma ham wraps around the fillet. Do the same with the other side. 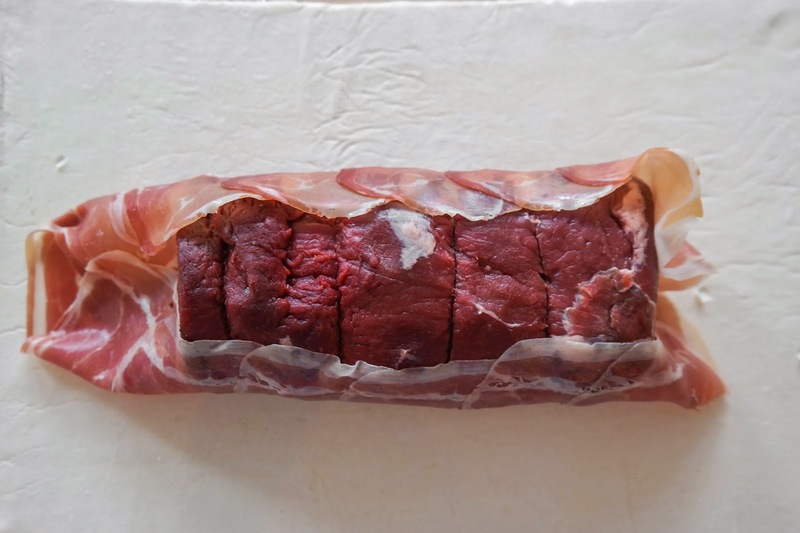 Lift up the ends as well, wrapping the fillet like a Christmas present. 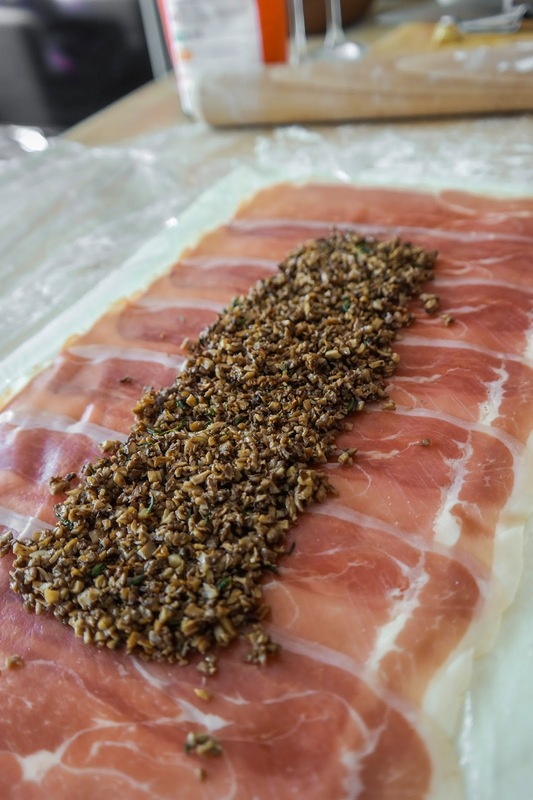 You will almost certainly find that the ham does not fully circumnavigate the fillet, but no worries – use those spare slices to paper over any gaps. You now should have a little parcel of meat. 9. Do the same with the pastry: lift the top, then the bottom, then the sides. 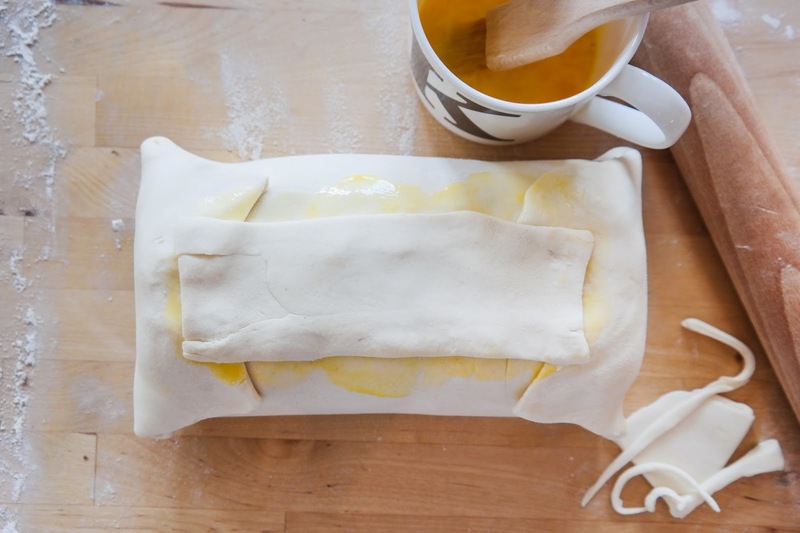 Use some beaten egg to glue any pieces of pastry that will be touching together. By now you've probably noticed the absolute disaster I have managed to achieve with mine. The pastry doesn't fit! That's what comes from buying pre-rolled stuff. 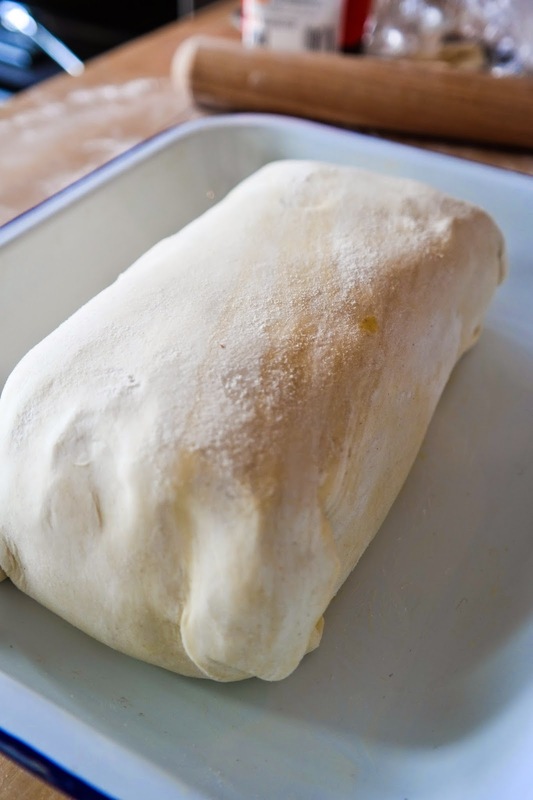 Not to worry though – just trim some off the ends, roll it out and turn it into a sort of pastry sticking plaster, again using the egg as glue. This is going to be the bottom, so it's not a problem. 10. 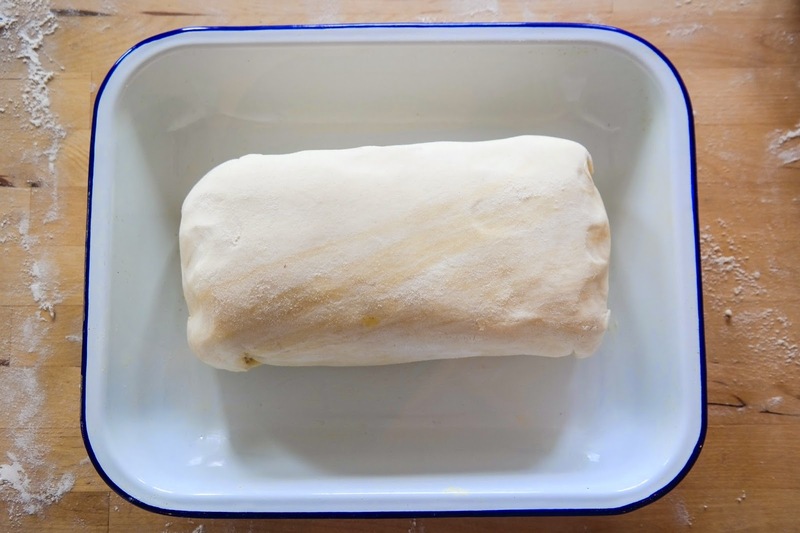 Use the butter to properly grease a roasting tin just large enough for the wellington. 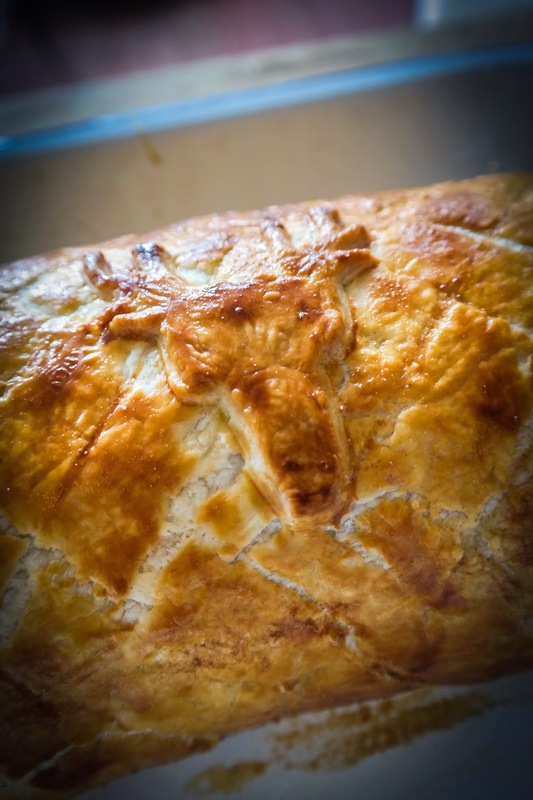 Now carefully turn your wellington over and place it into the tin so that the join is on the bottom. Now decorate (seriously, it's bad luck not to - see this post). 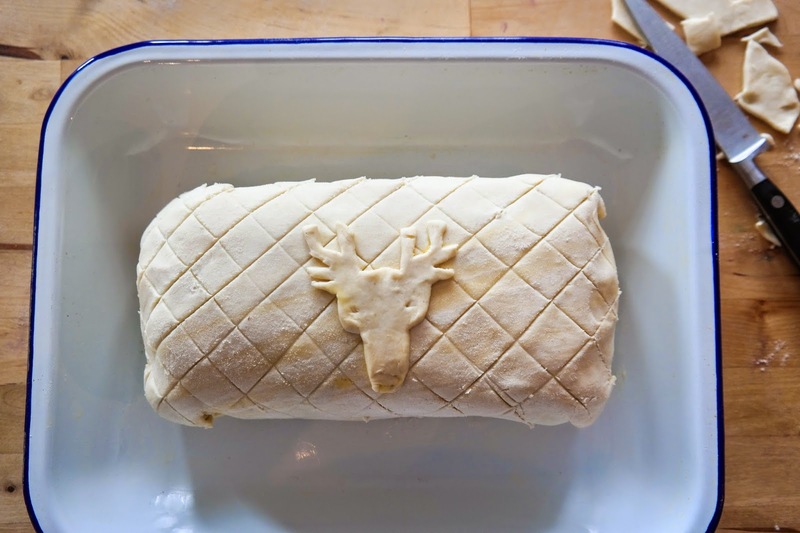 I did a criss-cross pattern (lazy and boring) and then carved out a little stag's head as mine was a venison wellington. I tried to model this on the Gordon Highlander's crest, as that was my step-granddad's regiment, but I think I failed a little. OK, I failed a lot, but it was still cool. And I reckon that a military crest as decoration is fitting for a dish that, at least today, I am using to celebrate a battle. 12. When the timer pops (or whatever) get it out and give it ten minutes resting time. 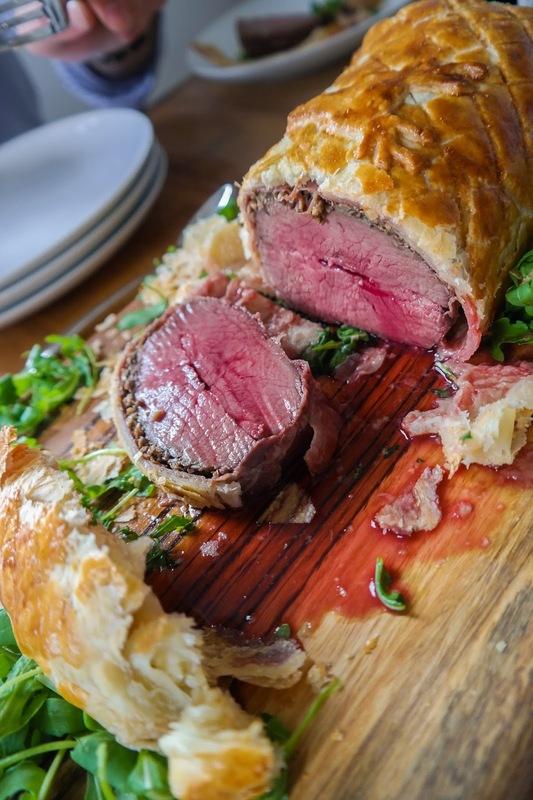 Then take it to the table and serve in big, thick slices – about steak thickness – being careful to pop it on the plate in one whole slice, mushrooms, ham, pastry meat and all. 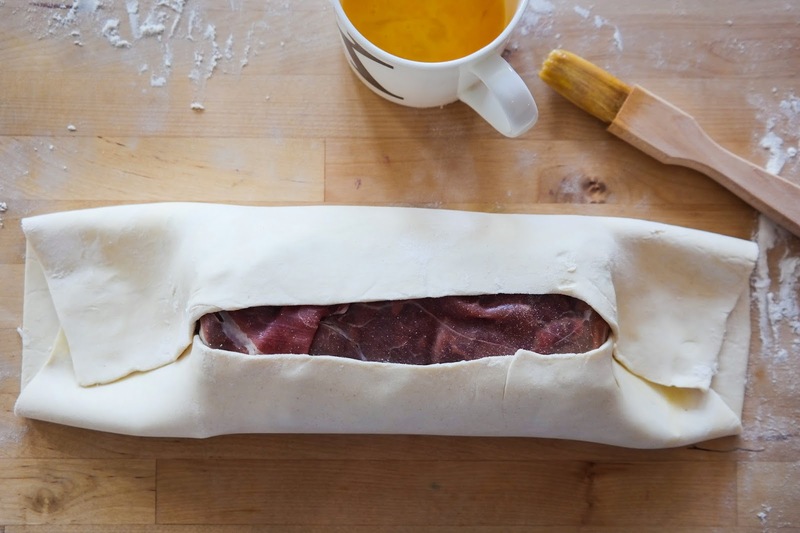 Then take it to the table and serve in big, thick slices – about steak thickness – being careful to pop it on the plate in one whole slice, mushrooms, ham, pastry meat and all. Good accompaniments include spring greens, red cabbage (as here, braised in vinegar, sugar, spices and apple), bitter greens like curly kale or cavolo nero, or roasted root vegetables (again, as here, roasted in olive oil and honey). Its only weakness as a roast dinner is its lack of gravy, although this could be rectified through the judicious application of a butcher-bought gravy or a port or red wine sauce. But, and it's a big but, I honestly don’t think it needs it. On the contrary, I rather feel that this handsome beast does just fine without any kind of a sauce – much as I like my steak, I can only think that a sauce would diminish, rather than enhance, my unadulterated enjoyment.